After chocolate chip cookies, pancakes were the second thing that I learned how to make. 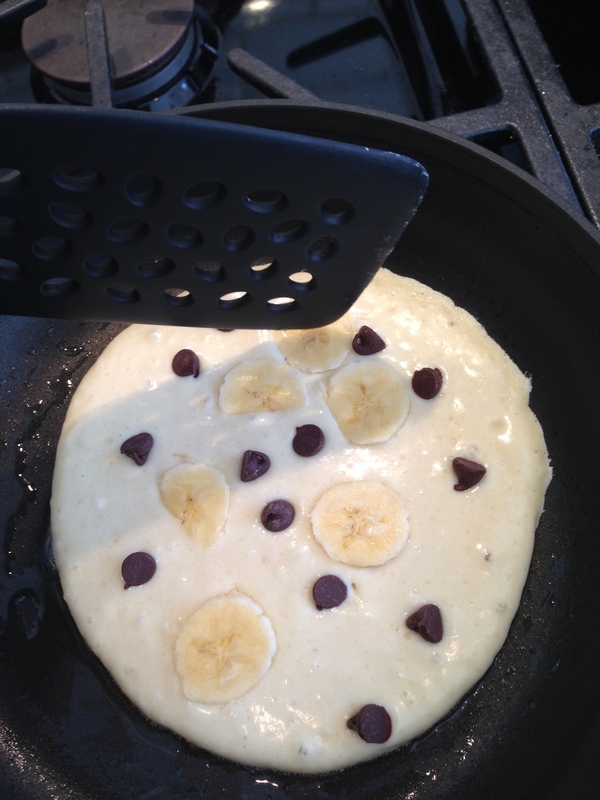 I always put chocolate chips in them (see the pattern here? ), but it was only a few years ago that I started adding bananas as well.